Ready-Set-Go! The trip may be compact but it is definitely not short on action! 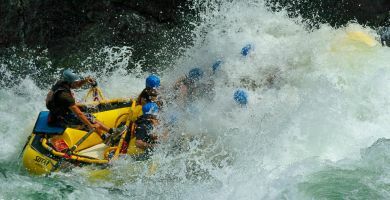 This is the perfect whitewater trip for people on a budget or time constraints. 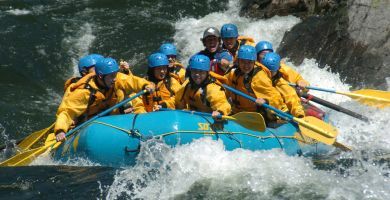 Raft top class whitewater and still fit other activities into your day! Guaranteed Addiction This trip earned its name for a valid reason. This is the perfect full day raft trip! Join us for a stunning and action packed day of world class whitewater in Wells Gray Park. Ticket to Ride The rush of river rafting complemented by riverside camping, exciting hiking, gourmet food and superb scenery! 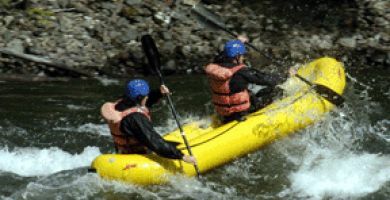 Guided wilderness exploration and fast-action rafting meet on this two day overnight adventure! Catch A Wave Family friendly rafting designed for ages 7 and up! 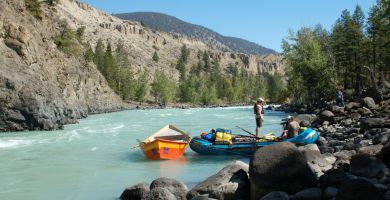 Our newest trip is a wonderful way to enjoy an introduction to whitewater with lots of fun waves and splashes in a section of the lower canyon on the Clearwater River that excludes the more challenging areas of the whitewater. During this trip we will explore an island and include some games and a snack. Begins mid-July. Take it Easy This scenic float is ideal for families or those who wish a slower pace. Wildlife sightings are plentiful, so have your cameras ready! Do You Believe in Magic? 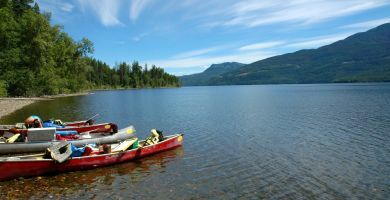 …wet your appetite for adventure on this five-day excursion that combines wilderness canoeing, exhilarating hikes and raging whitewater in spectacular Wells Gray Provincial Park. Stairway to Heaven Have you ever felt like you really wanted to get away? To feel like you were almost out of touch with the world? This may be just the trip for you, and there’s no 12 hr drives or long flights involved! Born to be Wild Join us on our awesome 2 person mini-rafts and Experience the thrill of maneuvering your own boat! 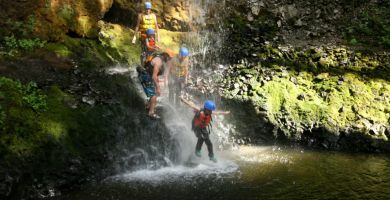 This trip promises a wet and wild adventure. Prepare to get intimate with the water! 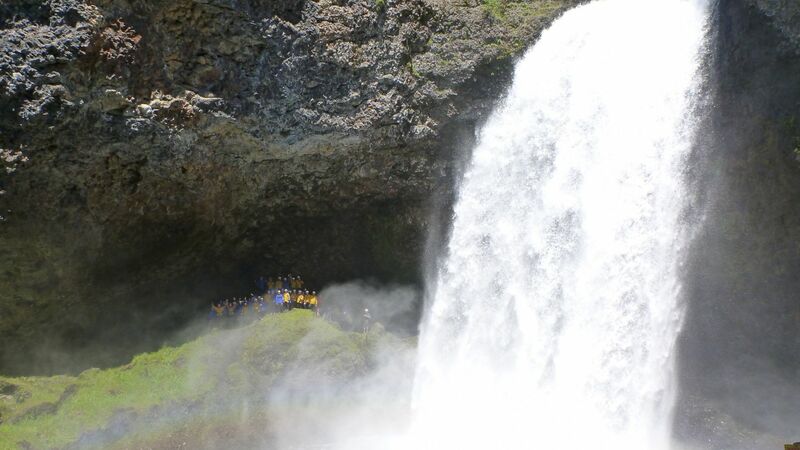 Whitewater Rafting Trips, Scenic Float Tours, & Fun Family Adventures all located in Wells Gray Provincial Park in beautiful British Columbia! There’s only one goal at Interior Whitewater Expeditions. And when you’ve finished having the time of your life indulging in a spectacular wilderness river rafting adventure in a safe, yet playful environment, you’ll know IWE’s reached it. 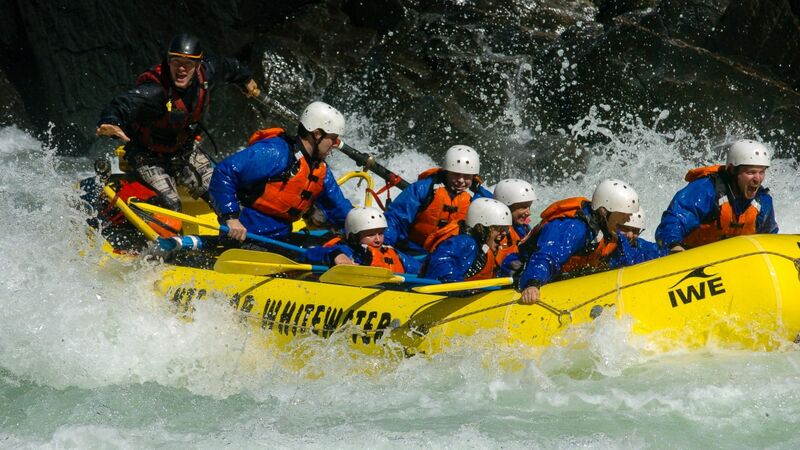 Celebrating our 36th year whitewater rafting on some of the most powerful and pristine rivers in the British Columbia Interior, IWE is able to provide unmatched multi-sport excursions to people 5 to 95 and from all walks of life. 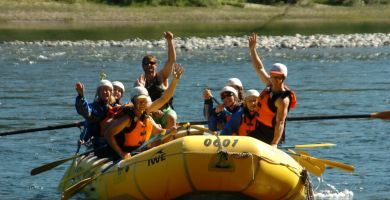 Personal attention, smaller groups and knowledgeable, capable staff who exceed provincial safety guidelines are reasons IWE has set itself apart in the river rafting industry. Of course there’s the trips, too and they’re unparalleled. 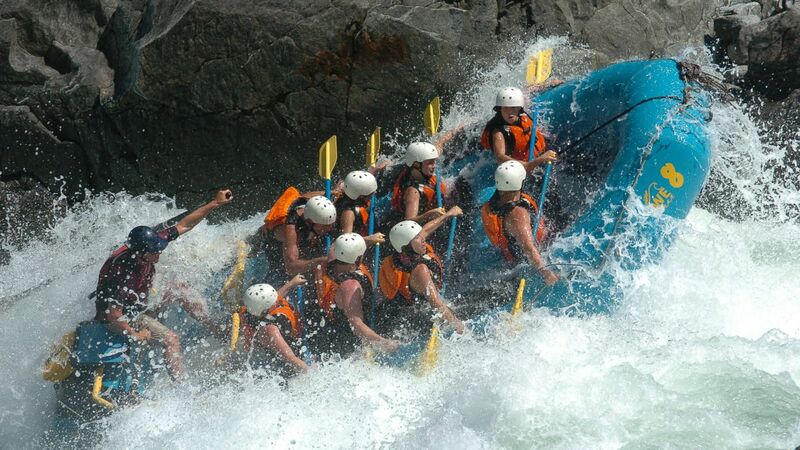 IWE has developed a group of rafting adventure experiences that will excite and challenge you. But you don’t have to be an adrenaline-charged extremist to enjoy the ride. 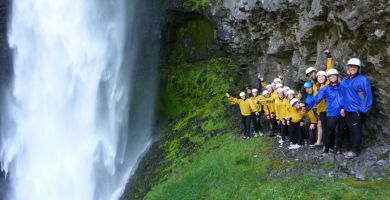 Our whitewater rafting adventures are designed for all levels - from the river rookies to the seasoned adventurers - and safety guidelines are stressed and demonstrated before every trip leaves IWE headquarters. 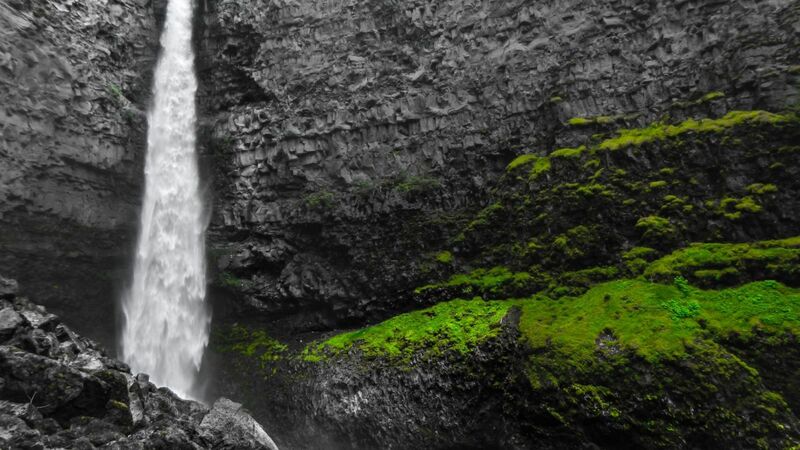 We are located in beautiful Clearwater, BC, the entrance to Wells Gray Provincial Park where most of our trips take place. 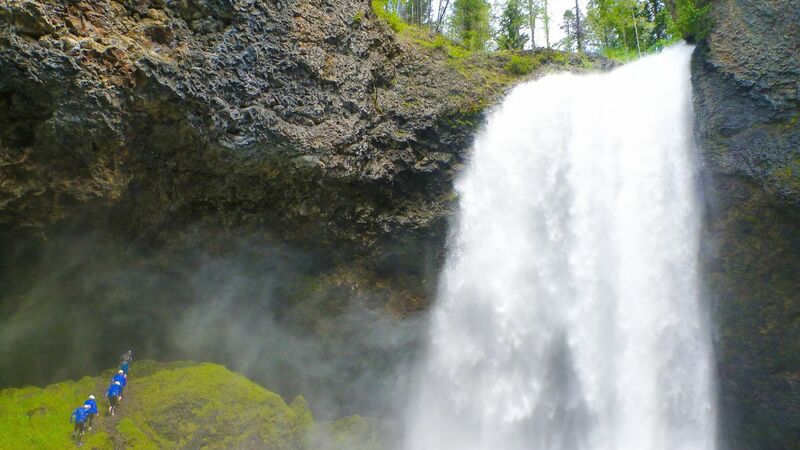 Wells Gray Provincial Park is a 520,000 hectare area of glorious wilderness complete with deep blue lakes, stunning mountain ranges, alpine meadows, numerous waterfalls and plenty of resident wildlife. 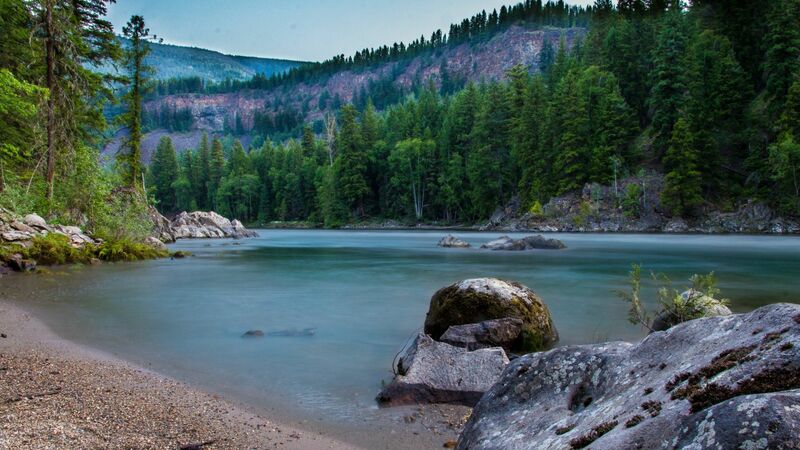 The Clearwater River runs through it all and it’s the route most of our adventures take. The river alone is something to behold, described as one of the most spectacular tributaries of the Fraser system, forceful and churning at one bend, graceful and yielding at another. So whether you’re looking for a few hours of fuel injected fun or a few days surrounded by stunning British Columbia wilderness and wildlife, IWE will leave a lasting impression and don’t be surprised if you’re longing for more. of their once in a lifetime travel experiences in Canada.